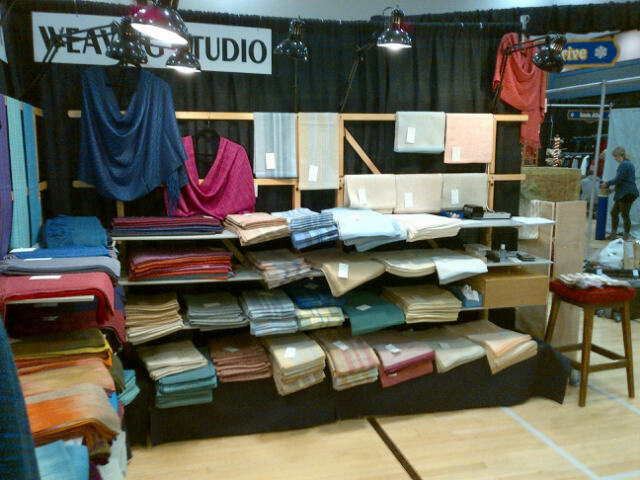 The first show of the year is done. Turns out my suspicion that I didn't have enough place mats was correct. Sort of. All of the matching table runners plus the stand alone runners all sold. Every single one. Another case of a cloudy crystal ball! Today I am struggling to get back to the studio, partly because it is such a mess, I can't think. Considering the degrees of mess I normally deal with, that's saying a lot. However it looks like the disruption of the renovations will be brought under a semblance of control in November, so hopefully I can begin the new year with things a little more organized. Currently reading Her Again, a bio of Meryl Streep. Our tools need to be able to do the jobs required of them. Sometimes that means changing them to make them work better. The Leclerc Fanny has breast and back beams that lift off. This is very useful if you need to sit closer to the shafts for threading. 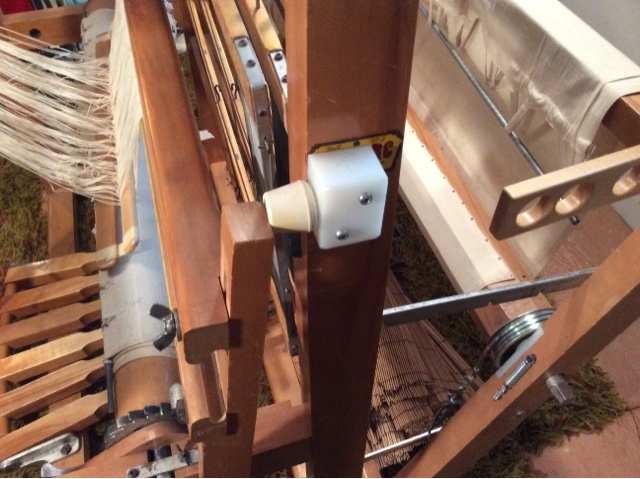 Since I have long arms, I never remove the breast beam, anyway, so when I started using the warping valet Doug added a piece of wood that fixes the beam to the loom. In this photo I have just inserted the rough sleyed reed into the beater. The third lease stick is still taped to the back of the reed, holding the loops. 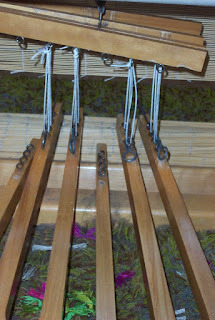 The warp has been centred in the beater, using the measuring tape affixed to the bottom of the beater for that purpose. The next step is to move the third lease stick to the back beam and transfer the loops to the apron rod. 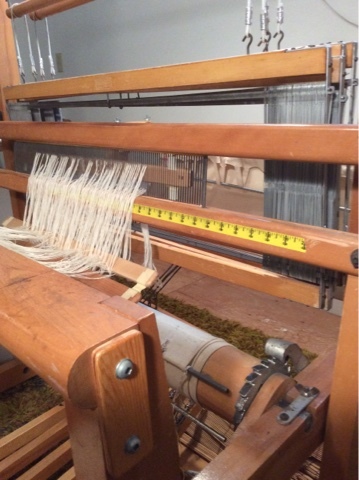 Then the warp will be passed under the breast beam and over the warping valet, the loops smoothed and equalized. Then the warp will be beamed. The photo below shows the 'bumpers' he also added to keep the beater further away from the shafts. At rest the beater was so close to the shafts my fingers would get jammed into the heddles which was not only annoying, but meant I had to weave more slowly. A block added to the castle with a furniture 'foot' did the job quite nicely. 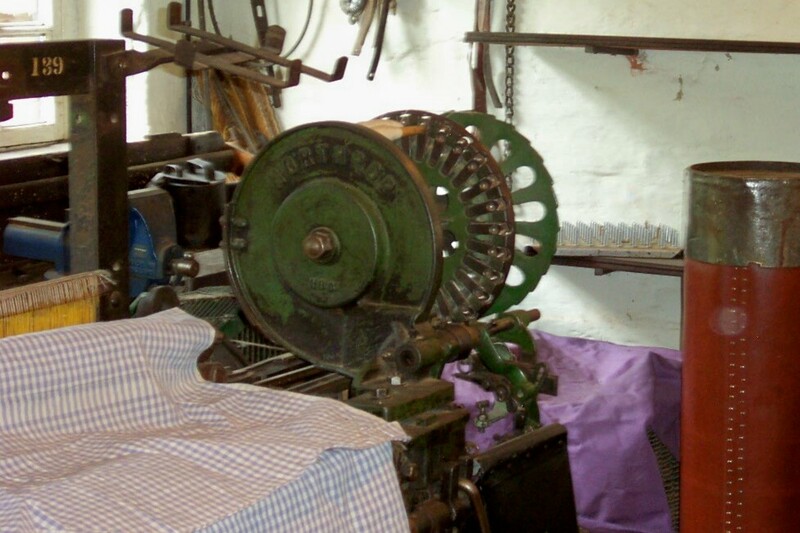 When the 'foot' wears out and needs replacing it will be a simple matter to replace it, and the loom will continue to function as I need it to. The power of intention. Makes for a great motto, but what does it mean? For me it means I have a goal that I am working towards. In life. 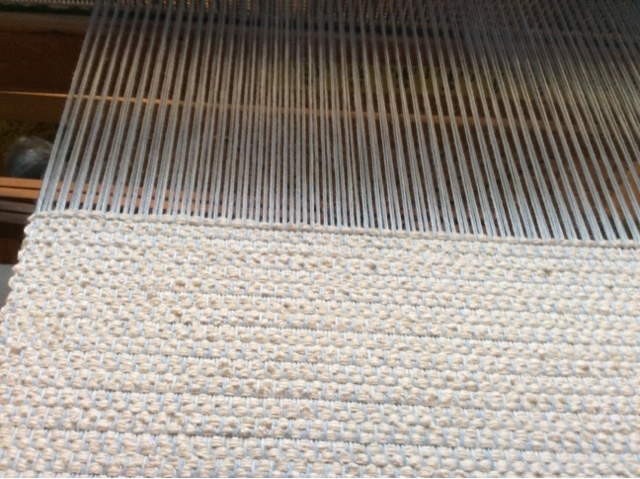 In weaving. I intend to make something - a particular something. In order to accomplish my goal, I have to have certain skills. Particular knowledge. How do I obtain those? I have to stumble around at the bottom of the learning curve until I figure out what I need to know in order to get from intention to material. 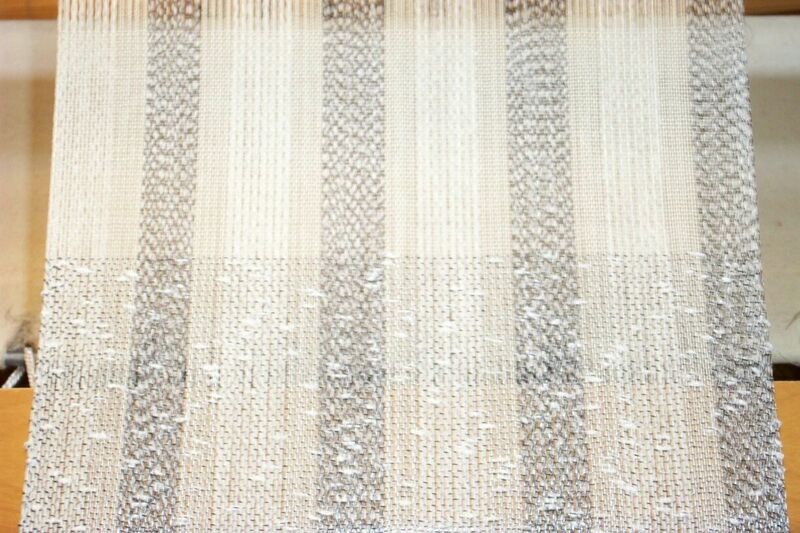 The above photo is of a sample warp. I had an objective in mind, but I wasn't sure how to achieve that end result. 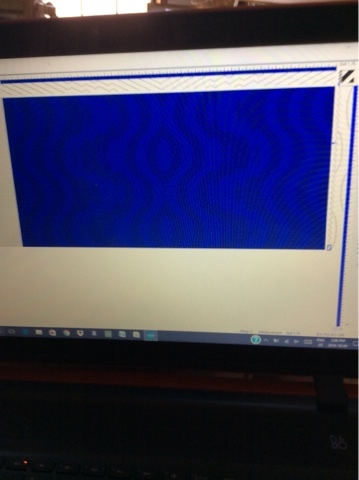 And so I put a sample warp on. And I wove it. I experienced how the materials felt as I worked with them. I observed how they reacted when I changed one thing, and then another thing, and then another. I tossed it into the water to see what would happen. And then, and only then, did I actually attempt to make...something...using these materials in this particular arrangement. Above all, document what you have done. Because I don't necessarily just want to see 'perfect' (although that is always lovely to see! ), I want to see the student work through the exercise, draw conclusions and observe the changes that happen when something is changed. And perhaps, after doing the initial sampling, the student will do another one, based on their initial conclusions, so that they can produce results that come closer to 'perfect'. Change one thing, everything changes. When analyzing the samples after wet finishing, comment on when you might use that particular combination, or why you would never use it. Document, document, document. We always think we will remember, but we don't! 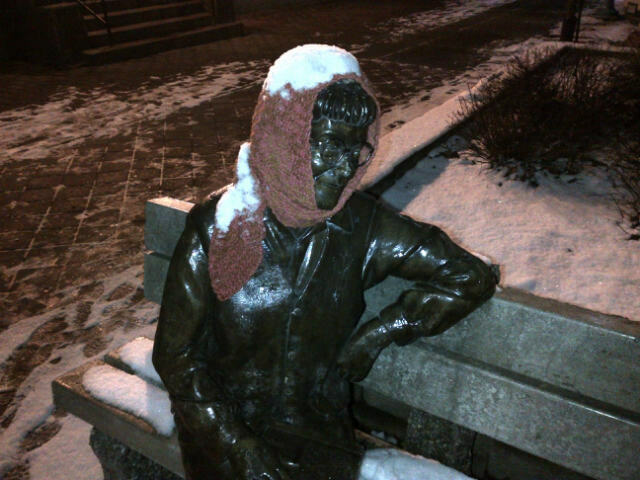 Why am I such a staunch supporter of the Olds program? Because it hopes to make the students think. 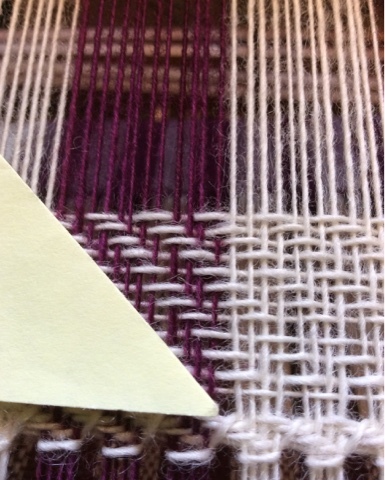 Mastering a craft such as weaving does not mean coming to class, being told what to do, doing it, then passing the course. Rather, the mastery of something like weaving means understanding the principles. Gaining the knowledge of what happens when by actually doing the thinking, the analyzing of the results, figuring out how to more closely meet the parameters of the exercises. Honing the physical skills required in order to get the results desired. All of that. But mostly to learn how to think the process through in order to get the intended results. 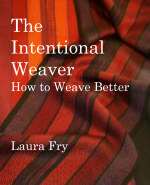 There is a reason I am calling my proto-book The Intentional Weaver. I hope to distill some of what I have learned in 40+ years of stumbling around at the bottom of the learning curve (why do I keep typing that word as 'curse'????) until I figured out how to more-or-less, most-of-the-time-but-not-always get results I am happy enough with to put my name on and offer for sale. With this publication I hope to explain some of the principles that go into the construction of cloth that the weaver wishes to have as their result. Not so that I can tell people how to get their results, but how to think through the process in order to get their own results by following their path. Right now all writing is on hold while we get through the next four weeks of show season. 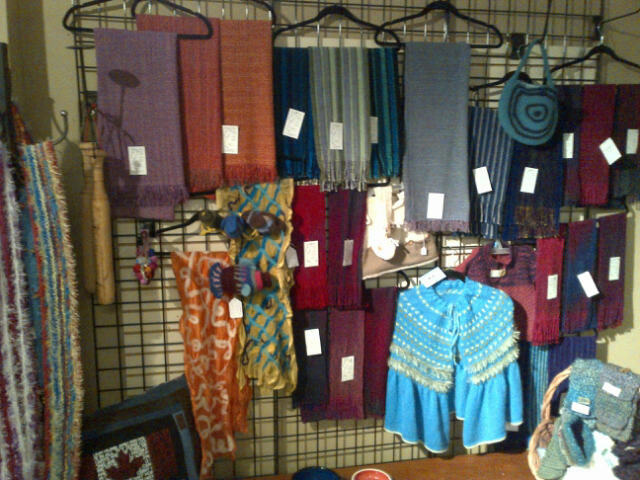 This is the time of year where I 'harvest' the crop I have been working on - all the weaving I have done for the past 10-12 months will be on display and for sale in hopes that I earn enough money to get me through the next 10-12 months. So the writing will have to wait for a bit. In the meantime I'm still thinking it through. Still analyzing what has been done so far. Still honing, polishing, thinking what else needs to be included. Definitely not forgotten. Just one more step in the process of being...intentional about what I want to have result. In my heart I know that anything I produce - not my weaving, not my writing - will not satisfy everyone. I'm quite sure my book will be...controversial...because I have walked my own path, made my own mistakes. My path will not be for everyone, because most of all, what I hope, is that people will make their own path. Because change one thing, everything can change. 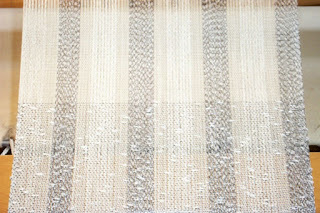 In weaving, as in life. 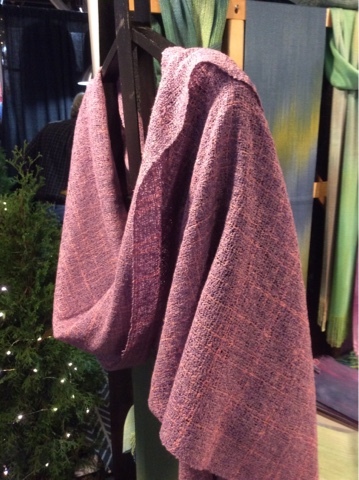 One of the things that people find appealing is a textile that feels good 'in the hand'. 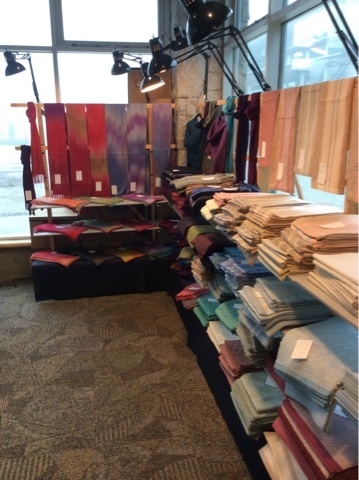 A textile that bends and flows. That drapes lovingly around the body. 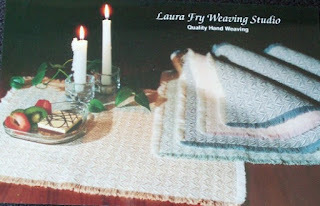 I have been working with various forms of rayon for quite a few years, now. 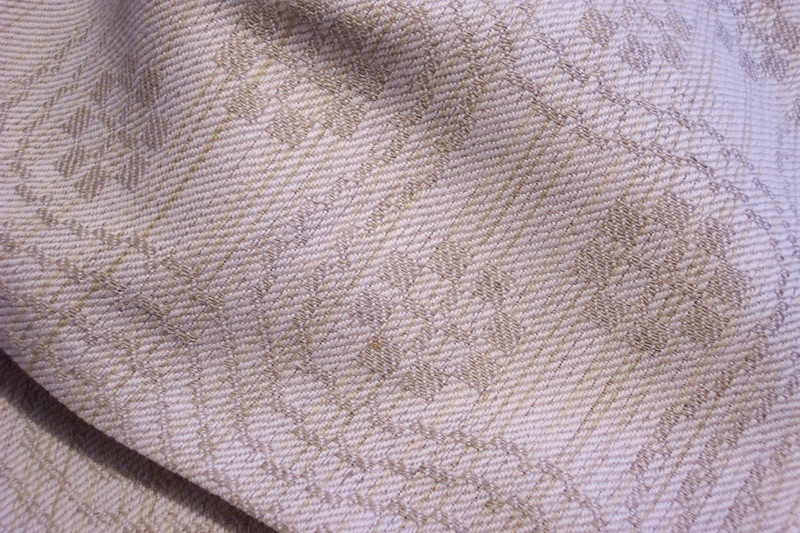 Rayon was developed to mimic silk, without the price of silk. 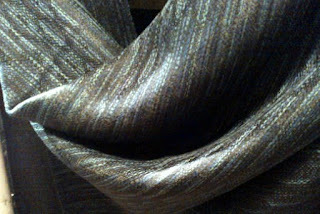 It drapes well, feels substantial (at a good density for the yarn) and takes dye to a brilliant depth of shade. It can also have a luxurious sheen. Down to the final crunch before the first show of the season. The van will get loaded next Wednesday, and set up begins Friday at 4 pm. 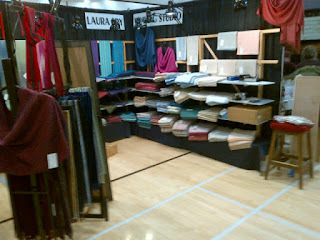 The first show is not exactly small, with over a hundred booths, but it takes place in the corridors of the university. 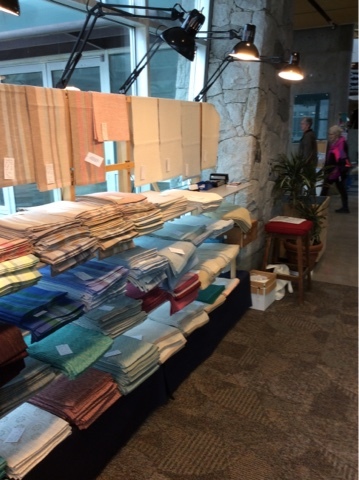 The building is attractive, lots of natural light in most areas, and it has a more...intimate...feel to it, much like the craft fairs when I was just starting out 40 some years ago. It is just two days, over the weekend, and then we have three days before we set up for Studio Fair. This show has around 70 booths and takes place Friday through Sunday. Once we pack up Sunday night we will have one night of exhausted sleep, then a 450 or so mile drive to Vancouver. If we get up and onto the road early enough and arrive before 6 pm we can drive into the hall to off load. 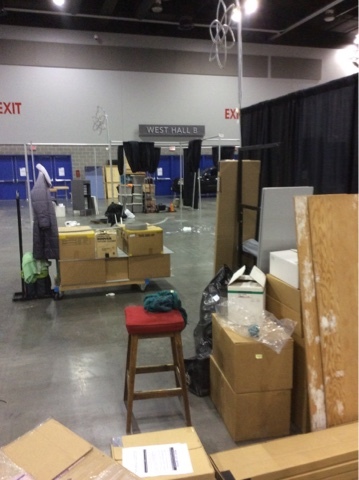 If we don't, we will have to offload onto the loading dock, then carry everything to our booth from there...a much greater distance. Tuesday we will do actual setup and Wednesday the doors will open. Circle Craft runs for five days, always incorporating Remembrance Day in their show dates. At 11 am on the 11th of November, a minute of silence is observed to remember the men and women who have fallen in service to our country. 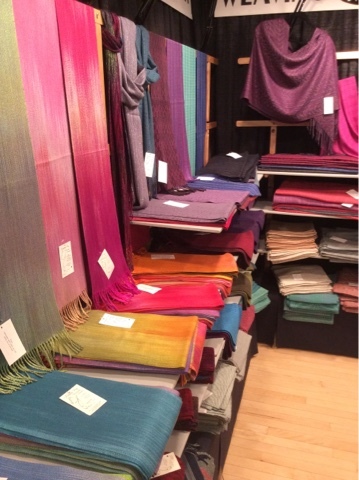 We are trying to get the shawls I wove last spring ready, plus the new scarf design. 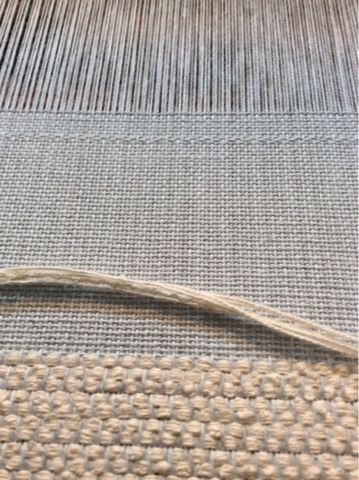 The white place mat warp still isn't threaded. I'm going to try to get it woven, but they may not make it through the finishing...wet finishing/pressing, hemming, final pressing. When I was much younger...(do you hear the music? )...I dreamed of becoming an Author. I even took English Lit 101 in hopes of honing my writing skills. But my stories were stilted, my characters lacklustre. Instead I turned to writing long rambling letters, first by hand, then on my old Bison 8086 computer, using Wordstar as my word processor. I found changing from writing longhand to composing on a keyboard a real brain twister. Composing on a keyboard seemed to draw on a different part of my brain and writing these long rambling letters helped hone the process of getting from thought to words on the paper. As I became more adept at composing on the computer keyboard I started writing more articles that I would then submit for publication in various magazines. Much to my amazement, some were accepted. In 1994 I got access to the internet via a Freenet portal. I immediately joined a Usenet group for textiles and started writing long detailed responses to questions, particularly about wet finishing, partly because it was obvious to me that the lack of knowledge about how and why wet finishing needs to be done was...vast. Out of the back and forth discussions, first on Usenet, then weaving on quilt.net, then Yahoo groups, the idea of doing an actual book grew. Not just an article here and there, but a real book. One with covers, table of contents and index. And samples. Lots and lots of samples. Because the purpose of wet finishing is best seen and felt. It was a very expensive proposition. 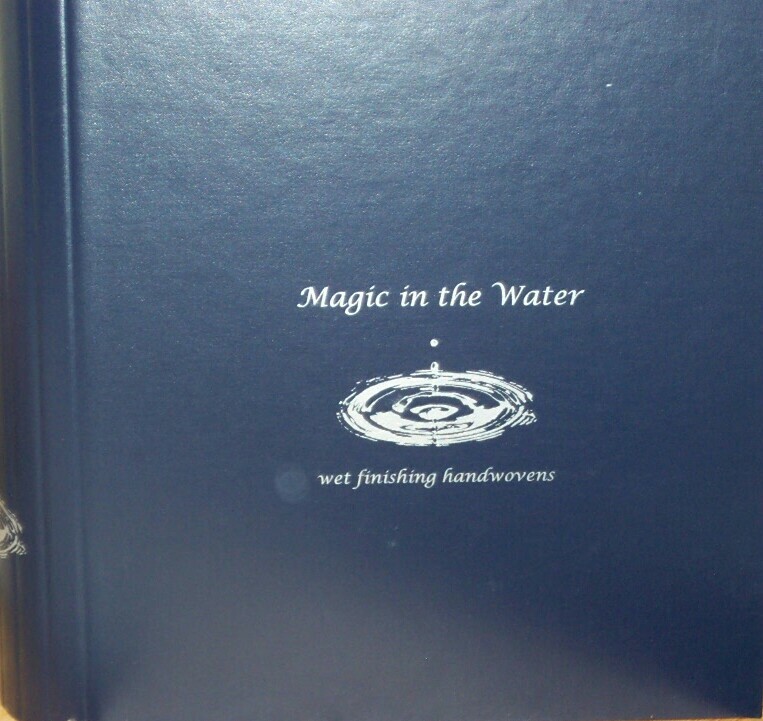 In the end 900 copies were made, plus 100 with limited samples as they began to run out. This month the very last copy of Magic found a new home. I had been hanging onto it because it was 'missing' one sample. But with the renovations at the house, trying to downsize stash and reduce expenses, reduce clutter, I was faced with the reality that this last, lonely copy needed to go live elsewhere. And so it found a home with someone who has been greatly supportive of my writing - gradually taking over more and more of the alpha editing tasks required for someone trying to write technical articles and, yes, books. Purchasers need to 'join' the site but it's free to do so. 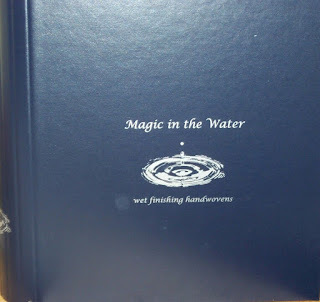 Then go to the Magic in the Water group and follow the directions. I am now down to the nitty gritty of my next publication. 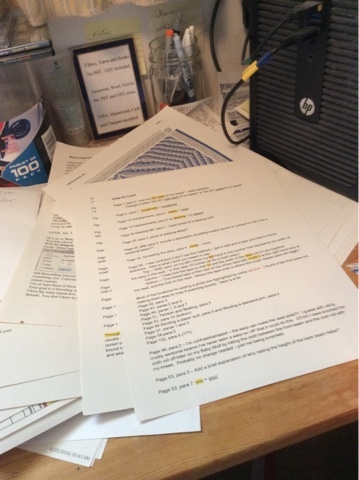 The bulk of the text has been written, a group of beta readers have provided valuable feedback and I am now trying to consolidate the suggestions, including re-writing several opaque passages. I am also recruiting people to work through some of the weave structure information and design/weave projects based on the included weave structures. No, I'm not doing all the weave structures; mostly I'm concentrating on those included in the Olds College master weaving program. A technical book such as the one I am trying to provide does not happen overnight, or easily. Technical writing means writing with the greatest degree of clarity possible in order for the majority of people to understand the principles and theories. If I were to do all the projects myself this book would take not two years but more like double that. I am grateful so many have stepped up to offer their help and support. I am all too aware that this book will not satisfy all. But as has been famously said, (and I paraphrase) You can satisfy some of the people some of the time but not all of the people all of the time. *Remember that if you pass a level, you can take the next level at a different location if it is more convenient for you. You do have to pass the level in time to register for the next level. Check the Olds College website in the new year for registration information. After two plus years of trying to get work done on the exterior of the house suddenly it is happening. Not one, not two, but three different sub-trades showed up this morning. 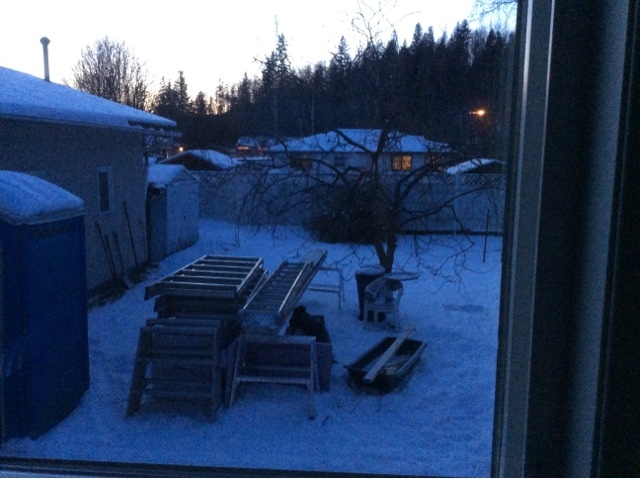 It is doubtful that everything will get done before winter brings a halt to working outdoors, but we should be first in line in the spring to get the rest done. What that means, however. 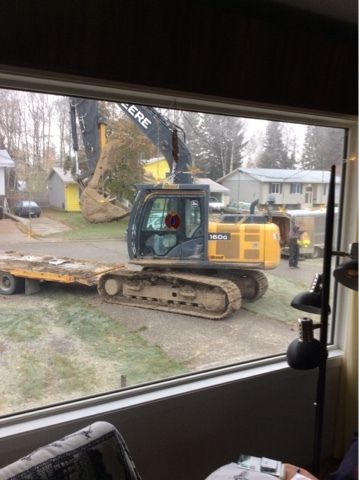 Is that we will be living in a construction zone until the weather co-operates, sometime in March or April, until it all gets done. 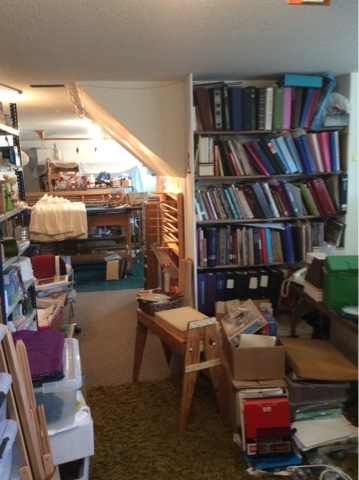 It seems I have been trying for ten years to get my stash under control, excavate Clutter Mountain, feel better organized in a space that has too little room for that to happen. Now the chaos has been ratcheted it up even further. Hopefully by the end of next year we will be able to set the house to rights. 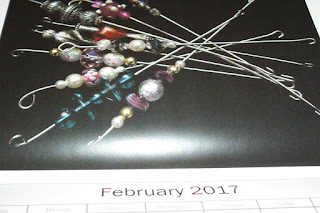 Of course I also have an extremely heavy schedule next year with weaving for sale, teaching (especially if all the Olds classes I've set time aside for, go) and finishing The Book. 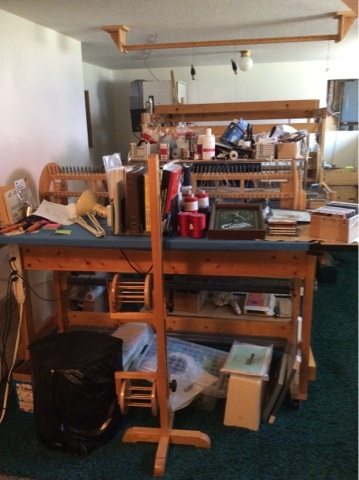 Before I left we cleared as much as we could from under the windows and left the studio heaped with clutter. Now that I'm home, I have to clear everything out of my way so I can work. 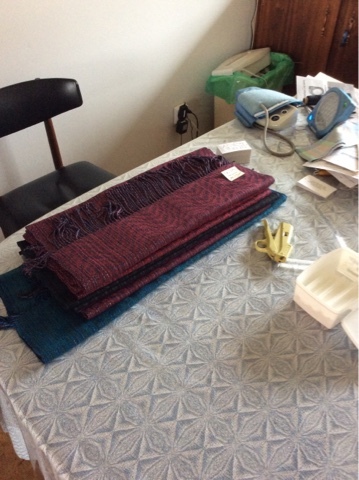 While almost everything needed got woven, I'm low on white place mats, so I need to get a couple of warps woven, wet finished, hemmed, final pressing done, then tag/price them. The van needs new winter tires installed before it gets loaded because we have three shows, back to back, and a 460 mile or so trip to Vancouner and then back again, in November. I also have a workshop the end of November to teach. And 2017 isn't looking any less stressful. 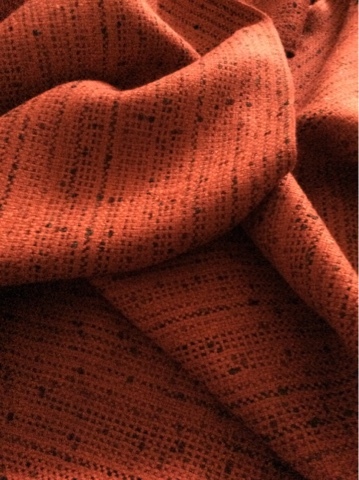 I may build a blanket fort in December and retreat to it with Fiberworks...until, oh, I don't know, July? Maybe the work on the house will be done by then? The workshop with Bonnie Inouye finished yesterday and in order to cement some of the techniques we learned I have been working on a series of drafts that may very well find its way into my production schedule for next year. 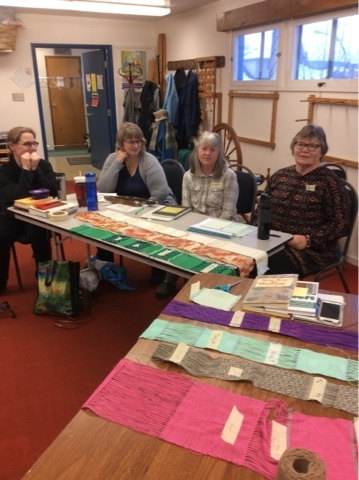 There are many things about weaving that make my little heart go pit a pat, and this workshop kind of rang a chorus of bells...fine threads, smooth fabric, complex looking cloth, all variations that can be woven on one threading. Just changing the colour (hue or value) can drastically change the look of the design. I also have a huge stash of fine threads that need using up, so I can reduce stash and not even buy more yarns (or at least, not much) to weave with. Truth be told, I may have to buy some yarn for warps, but weft? I've got so much, and you get such a lot of play value when using 2/20 or finer threads! The trip has been great. I actually know people in the Nashville guild so it was great to see them again, plus make new friends. I hope I can make it back again. On the home front, the basement windows are being replaced this week, so the studio can be put back together when I get home. 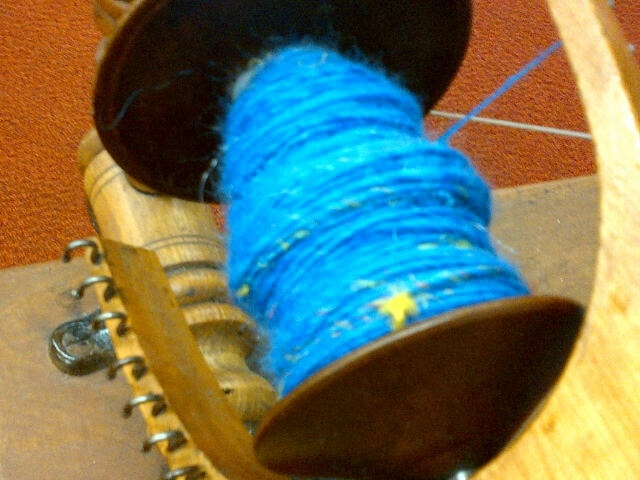 I've still got 60 yards on the AVL that needs to be woven before I can even think about this new direction. Workshop preparations are going smoothly. 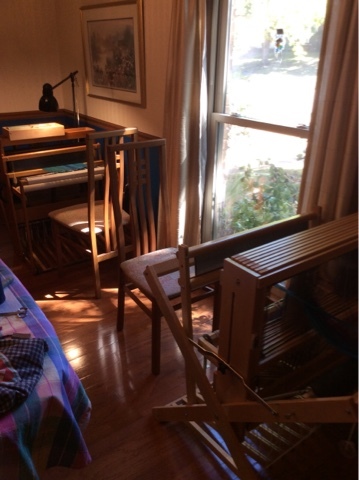 Mary has got her loom set up and just started weaving her heading. I just finished threading and have begun sleying, but feel the need of a back break. 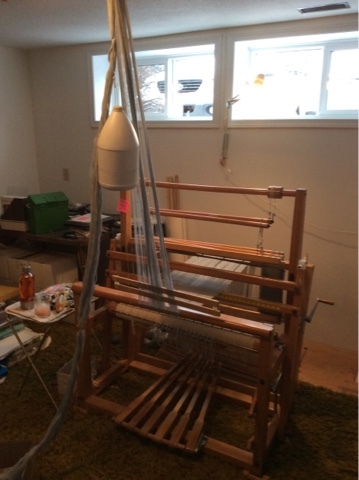 I have been away from the loom for too long...if you don't use it, you lose it...and I can feel how much muscle tone I have lost. Fortunately it does come back, so I just need to pace myself. 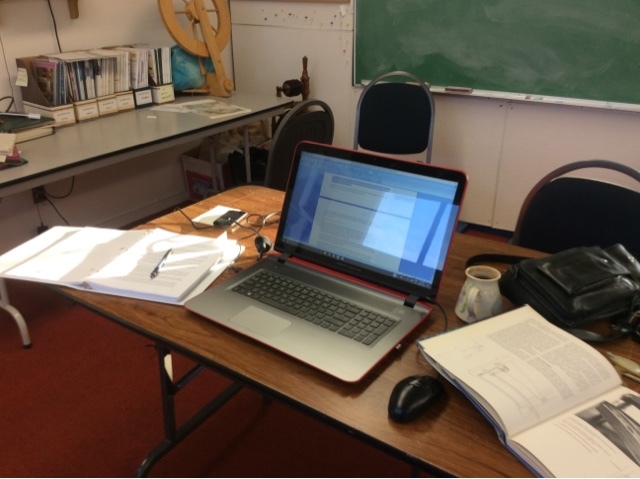 We have been working through the Fiberworks tutorial in order to acquaint ourselves with Fiberworks. Even though I have used the program for literally decades, some of the more, shall we say advanced, features have eluded me. So just for that alone this workshop was well worth signing up for! The temperatures, which have been high for here at this time of year, have come down somewhat. Maybe tomorrow we will go for a walk. 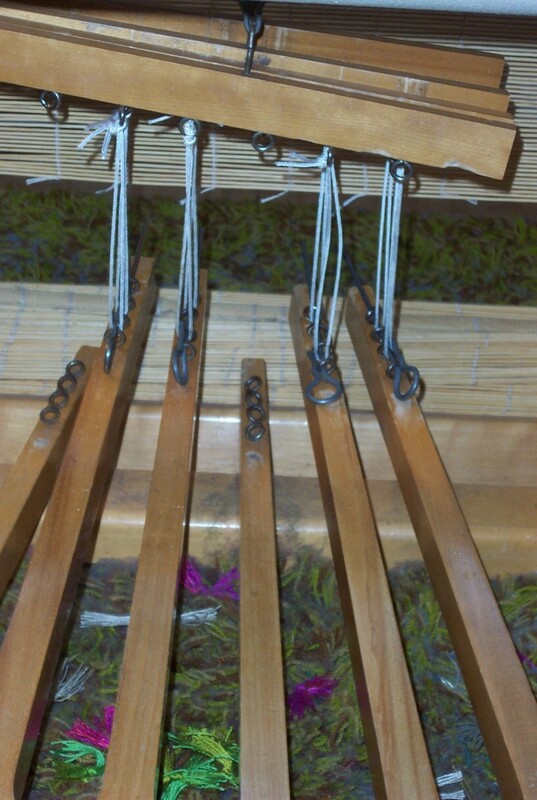 In the meantime, I have a loom that needs setting up...and hope I didn't make too many threading mistakes! This 'holiday' is really an excuse to retreat from the daily concerns of life, work on things that I can't concentrate on well because of the distractions of Life, and generally take a break before a very busy time rapidly approaching. Mary had to go out this morning so I put some music on, opened the latest round of edits, and hopefully caught more typos and rough spots. There are at least two passages that need to be re-written. But I'm going to talk them over with Mary and Cindy to see if they have some suggestions for clarifying what it is I want and/or need to say. There is still plenty of work to be done. I'm thinking all photos need to be re-taken, partly to make sure they are all in focus, partly to make them visually consistent. Diagrams need to be drawn. Drafts edited. 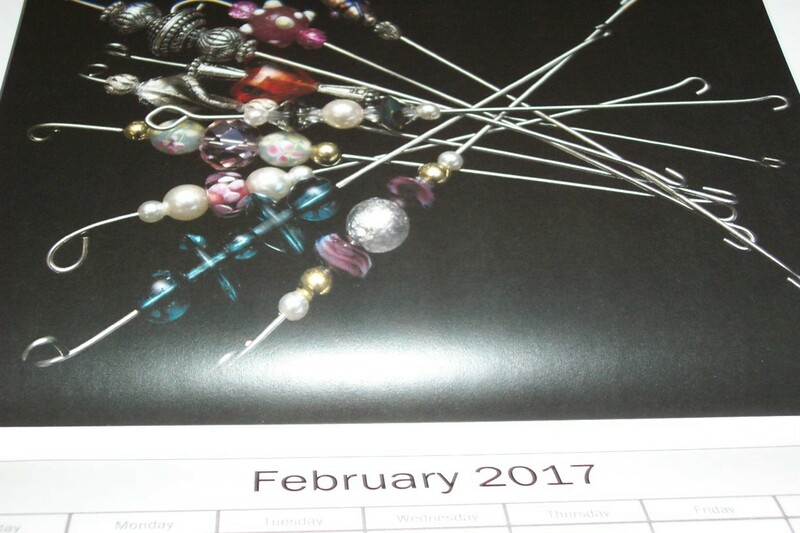 Projects designed, assigned or slotted into my schedule for weaving. Then, of course, the finished projects will have to be photographed. All of which is to say, I'm back on the original schedule, maybe even pushing completion into 2018. Well, it will take as long as it takes! One of the threads (ha!) on the #fairfiberwage topic on the internet is that of the hidden costs that go on regardless of the actual teaching fee being requested by teachers. The beta edits are beginning to arrive. I have completed two, both of which were extensive (plus my own, done on a hard copy, because that's the way my brain works best, usually) and I am about to go to Staples and print the updated file out again. But here's the thing. Those 133 or so pages that I was working from are now garbage. Well, recycle, but you get the drift. So far I have invested countless hours generating the text to date. 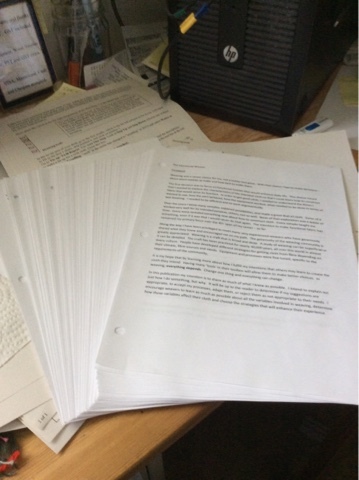 Printed out multiple copies for my own use, relied on the good will of a chosen few alpha and now beta readers. And the book is still less than 50% complete. I have used up printer cartridges to print out early versions, sucked electricity to run both computer and printer. Burned the midnight oil. And all of this effort done long before the book is ready for sale. This is not unique to me, this is the effort that goes into any book. There is a reason most authors only produce one book a year. A technical book, in my experience, takes longer, partly because of the difficulty of rendering information in text, which is generally best seen done. So, lots of photos, diagrams, and now, thanks to modern technology, perhaps even embedded video clips. Teaching classes requires much the same sort of hidden effort. Many students have no idea of the amount of effort required, nor the hours of marketing that are required. 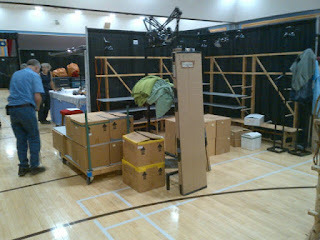 The logistics of setting up teaching tours/dates. Teachers who rely on teaching for part, or all, of their income stream are not just working the hours of the class. They are doing hours if not days of preparation. Then there is the challenge of physically getting from home to point A, B, C.
One of the things to remember, as a consumer if educational products is that you get a whole lot more than what you see of the instructors time, effort and energy. One of the things about being self-employed is that...you, yourself, get to do the work. No minions. Just you. If you don't do it, it doesn't get done. 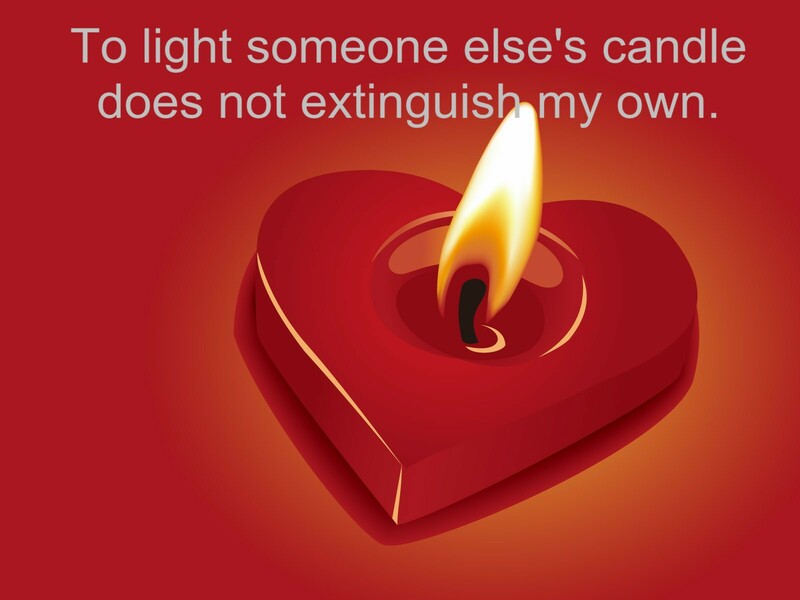 One of the things that I, personally, have to deal with, constantly, is a tyrant of an Inner Critic. She constantly casts doubt in my garden of ideas. "That isn't good enough." "No one will buy this,." "No one will pay that much for this thing." 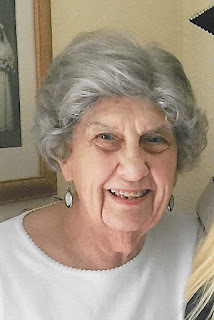 For 66 years and counting I have been doing battle with this tyrant. So far she has not actually prevented me from doing what I want to do,. But wow, can it get tiring! The worst thing, I think, is that the more I listen to her, the more I procrastinate, the more I doubt myself, the less I tackle the hard jobs. Like writing. 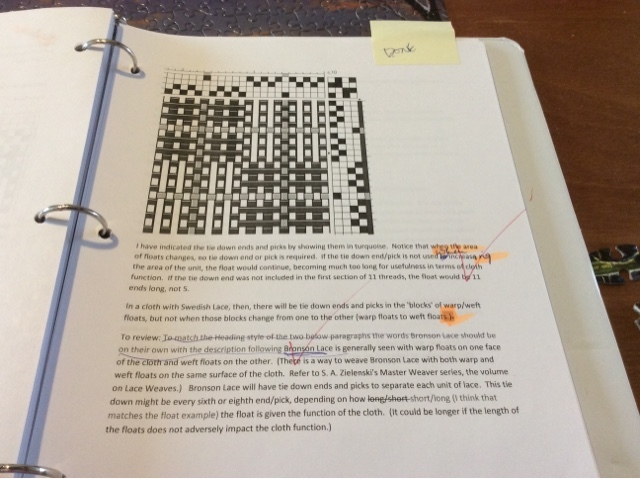 The first edits (of the latest version of the manuscript) are beginning to come in. 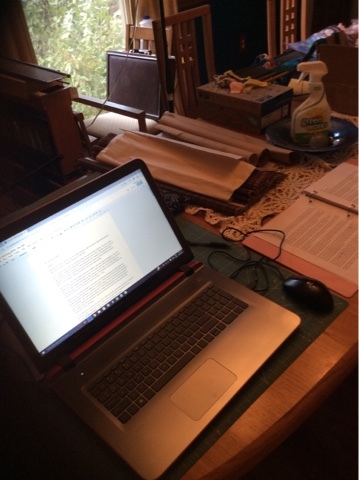 And, in spite of it looking promising, and the kind words of those who have responded (because it takes a Peanut Gallery to quell the tyrannical Inner Critic), I sit here, the edits quietly, patiently, waiting for me to open the file and get 'er done. The other things about being self-employed is that there is always a list of Stuff That Needs To Be Done. So ignoring the 'hard' job (writing) becomes easier. "Oh, I'll just do this 'easy' job, then I'll do the 'hard' job." Ya, right. And so the days go by and the hard job gets harder and harder to do. Which is why I have to love the deadlines. I have a deadline by which time I really want/need to have this round of edits done. And it looms. Relentlessly, the days go by and that deadline gets closer. So today, right now (as soon as I hit Send and Share) I will open the Word file and get back to the edits. The few days between starting and today, this minute, have let me cogitate on some of the edits and make a decision about them. And so I will plough on. Because the hard jobs also need to get done. I think there are so many 'fairy tales' that use textiles as a metaphor precisely because so much of weaving - the lessons to be learned - are true for creating textiles and life. So yes, I weave samples. Lots of them. 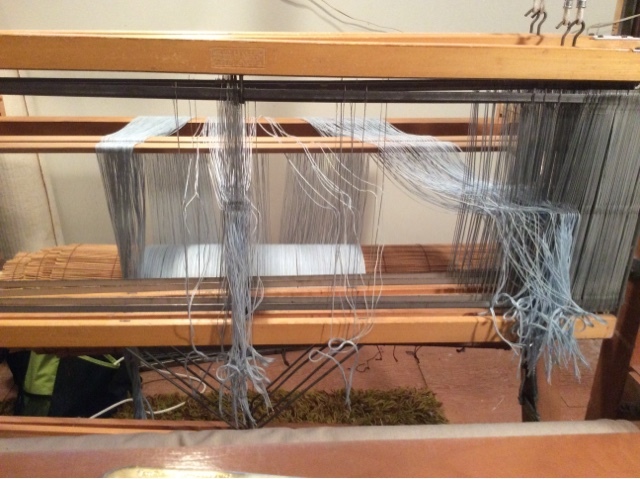 I believe in the lessons that can be learned by weaving just to increase my knowledge. Unfortunately some new weavers just don't seem to understand the necessity. Many of them just want to make...X...whatever X may be. But without knowing your materials' potential, how can appropriate choices be made? Abby Franquemont - That's just good sense. Sampling is doing all the science and investigation and exploration and whatnot! The Olds program emphasizes the need to sample by requiring many samples, fully documented. 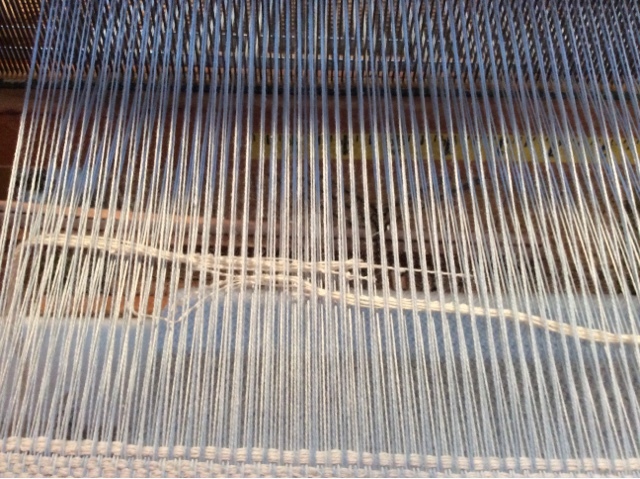 Weaving the samples and keeping records of what was done allows the new weaver to begin to create their own database of knowledge so that they can begin to adjust density, weave structure, wet finishing, in order to create the cloth they desire, not just whatever happens to occur. People get all obsessed about making 'perfect' when what they need to do - imho - is to make good. Concentrate on learning from what happens when x, y and z are put together. Then change one of the parameters to get better. Lately there have been a lot of posts on social media about making things. It has been shown over and over again that making many things leads to better results. As one meme put it - make stuff. It might be bad, but as you make more stuff, it will get better. And that pretty much sums up life for me. I do stuff. I make mistakes. Hopefully I learn from them and do better. It's all about 'sampling'. It's all about learning. It's all about getting better. If I manage 'perfect' once in a while, that's great. But it's only a goal I work towards. I don't beat myself up when I don't manage 'perfect'. I will just keep trying to make it good.